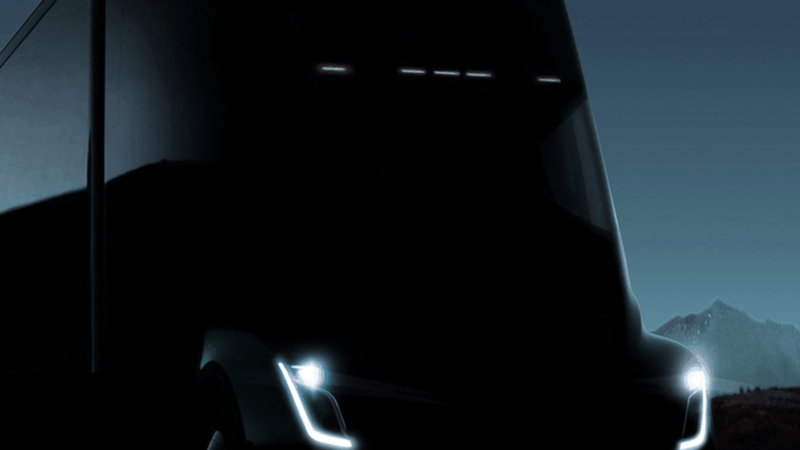 In a move to capture a piece of one of the most promising sectors of robotization, entrepreneur Elon Musk plans tomorrow evening to unveil a Tesla semi-truck, a prototype electric with self-driving technology. According to one estimate, its enormous battery could make it double the price of a standard diesel-propelled vehicle. But Musk has said he already has customers waiting for the vehicle. The jobs impact: There are about 3.5 million truckers in the U.S., in addition to about 5 million workers in other parts of the industry. Many of those jobs are threatened in a future of autonomous freight transportation. Much is made of the future of self-driving, but the biggest early impact — with huge money on the line — is likely to be cargo trucks, and not passenger vehicles. The U.S. trucking industry had $676 billion in revenue last year, according to the American Trucking Association, a sum that experts expect to surge over the coming decades with the global population boom to 9 billion people. Numerous startups in Silicon Valley and elsewhere are hoping to capture that flow of revenue. In a paper earlier this year, Shashank Sripad and Venkat Viswanathan of Carnegie Mellon University estimated that a lithium-ion battery that could take a truck 300 miles on a charge would weigh about seven tons and cost roughly $150,000. The price of a diesel semi-truck is about $120,000 to $130,000; while an electric drive train would lower the cost, you would be talking a total of about $250,000 for the electric self-driving truck. A bigger battery, allowing a truck to go say 600 miles, would cost $300,000, too much to be cost-effective, they said. A thought bubble: Musk may introduce a creative approach to the autonomous electric trucking future, such as leased batteries or battery swapping. But whatever he has to say and show us, he seems likely also to face more than his share of doubters. There is reason for that: He is arguably distracting himself from his core mission, which is to work out the bugs and reliably produce hundreds of thousands of his currently troubled mainstream Model 3 sedan per year.